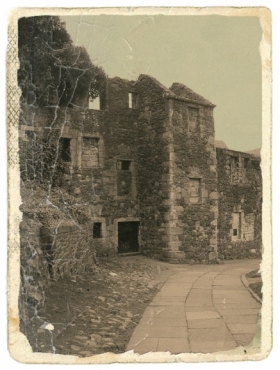 The family home of Merchant John 'Auld Staney Breeks' Cowane, now fallen into ruin, was once known as ‘Queen Mary’s Palace’ - though it has NO known association with the ill-starred Mary, Queen of Scots. Her father-in-law, James Douglas, 4th Earl of Morton - the first Regent to the infant James VI, after Mary's forced abdication - was rumoured have poisoned the Lord Chancellor of Scotland, John Stewart, here...when he rented the property in April 1579. Stewart had foolishly mentioned Douglas's involvement in the plot to murder Mary's private secretary, David Rizzio.